As I have read historical information of the Languedoc region and talked to French locals I begin to speculate about the possibility of Jesus living in France after the crucifixion. There is no clear-cut evidence only legendary stories, hearsay and theories of how Jesus lived with Mary Magdalene, Mary Salomé and Mary Jacobi in the Rennes Le Bains area of the Languedoc region of Southern France. One theory, Berenger found one of the local treasures of the ancient Cathor people. It is a distant possibility because the trail of gold ancient coins, artifacts that would’ve been used to pay for services were surfaced. They would have reappeared in some way when the workers spent their earnings. I like the theory Sauniere blackmailed the Catholic Church with a secret so overwhelming they paid him off and he used the money to rebuild Rennes Le Chateau. The secret so alarming to the church of Rome was the priest found evidence Jesus lived in France. If Jesus survived the crucifixion and moved with Mary Magdalene to the Southern France region this would have abolished the concept that Jesus died on the cross for our sins. This is one of the main premises of Catholicism and the church would have had difficulty surviving the controversy. Still we do not know what actually happened. There are local, Southern France stories that Jesus died at the Languedoc church of St. Salyvre and was later transported to the Château De Perillos where he was buried. The story gets better as the holy men of the day did not wish the grave to be robbed and the remains were placed in secrecy at the center of Pic De Bugarach. In the Stargate mountain there is a cave trailing into the center of the mountain. The cave has a variety of pits and hidden places where a body could be secretly put away. In addition, Pic De Bugarach was known as a Magical Mountain even in those times so it only makes sense a highly evolved being such as Jesus would be placed into a high-energy Stargate. All of this is fun speculation and I too am fascinated with the stories of Jesus being in France. This past February I went on a journey to the region with the curiosity of Jesus’s existence in France. I would not be exploring as a historian but as a psychic. This Journey began in a Basilica in the Provence region named Saint Maximin La Sainte Baume, the church is dedicated to Mary Magdalene and holds the “Tomb Of Mary Magadalene”. Yet in this beautiful church it does not have Mary’s presence like other churches in the Langedoc region. 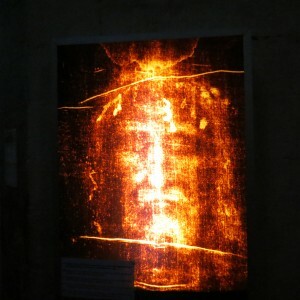 However, it did have an amazing photographic replication to the Shroud Of Turin, the robes Jesus wore during the crucifixion. 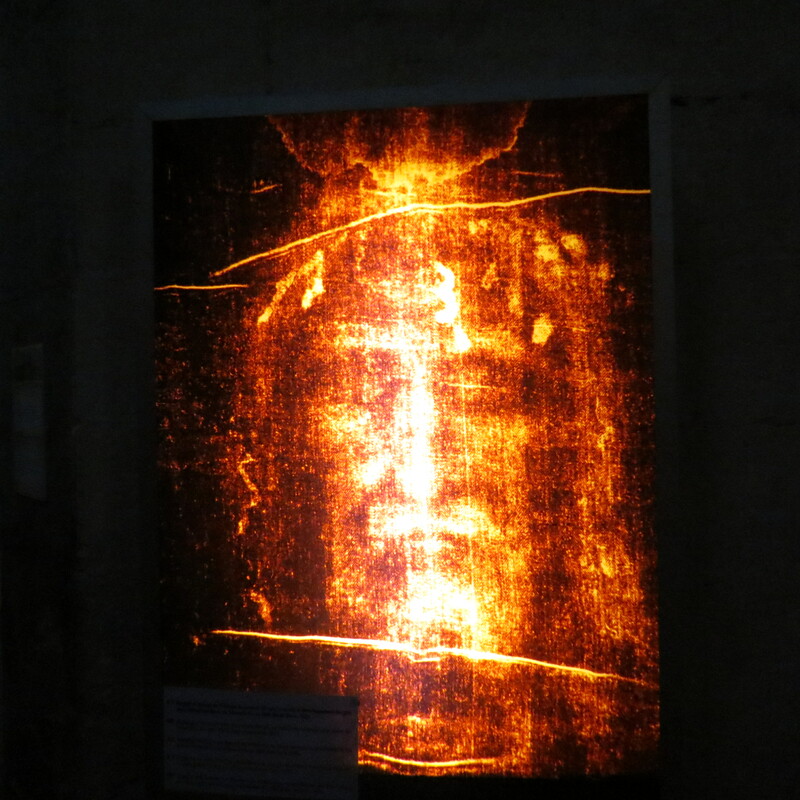 As I looked upon the shroud and asked my body to connect with the energy of Jesus I had an amazing experience. Something came alive in me of infinite proportions, I felt as if something as powerful as a godlike being was alive inside of me. As I did a meditation looking deeply at the shroud I felt as if I was absorbing a transmission of what transpired in the cave after crucifixion. During that time Jesus transition from a human being to more of a light being occurred. The shroud had a recording of the DNA transformation in the very cloth and it transferred to these highly detailed and enlarged photographs. One of the things I walked away with was an idea of what Jesus felt like. As a psychic I am familiar with hundreds to thousands of energetic signatures. Each person, animal, plant has their own overall vibration that changes as they change. Something as profound as Jesus had its own infinite like signature and I had a good idea what this was due to my experiences feeling a wide variety of energies. The exploration continued the following week when we went to the church of St Salvyre, an ancient Romans church high on the hill overlooking Alet Le Bains. This is where legend says Jesus died and was left here for a time. Once again energetic presence of Jesus was there. Curiosity abounded so we left a few days later to Château De Perillos close to the Mediterranean Sea in Southern France. In the ruins of this old, collapsed château we found one spot that resonated with Christ energy. As we meditate there we felt as if Jesus was with us. Lastly, we were lucky enough to be part of a caving expedition into the Pic De Bugarach. After climbing a half a mile into the cave, up steep inclines where we were required to use a rope and pulley system to climb 20 to 50 foot cliffs we were in a place that felt very special. I suspect that we were in a place where energies of the Stargate traveled through the mountain. We turned off the lights and spent time meditating. During the meditation I felt as if a ring of light surrounded me and could perceive the presence of many spiritual beings within the rock itself. I have previously spent much time meditating with the Stargate within Bugarach and knew time and space is a very different concept there. Even if the mountains are solid, there can be a different kind of space for a variety of etherical beings who live in communion of the Stargate energies. I sat in amazement, possibly the highest vibrations I have ever experienced. It was there in this highly expanded state I asked the question, “Is the energy of Jesus or Master Yeshua here?” A signature of energy about me came to my attention and I perceived something similar to the other sites. It felt like Jesus. As I meditated on this divine presence I perceived a connection to the spirit of Jesus whose presence is beyond the planet watching over this world. The connection existed within the great powers of Stargate Bugarach to the special place where Jesus exists as the watcher of the world. It only seemed natural in an odd way although I am not sure of the purpose. However, I look forward to my next Southern France tour and to the Pic De Bugarach cave. How could Jesus’ presence be in so many sites? I first reflect back to my visit on another tour to The Chalice Well in Glastonbury, England. This is where Joseph Of Aramathea placed the Holy Grail, (The blood of Jesus while on the cross, collected by Joseph). This is a well known legend. Once again the energy of the Chalice Well has a signature energy like Jesus most likely because the blood held his energetic presence. As I perceived into these sights such as Perillos something of the master was left or the presence of the body left a strong residue. It makes sense to me an infinitely actualized being like Jesus would leave his presence for years to come due to his amazing powers. I wonder if the presence of Jesus in De Pic De Bugarach was a complement to the already dynamic energies of the Stargate streaming through the center of the mountain. I tell the story simply as an interesting point of view. I cannot say Jesus lived in France. There’s no evidence to say so. However, in perceiving the energy that Jesus once lived in France and had a final resting place in Pic De Bugarach? I believe.